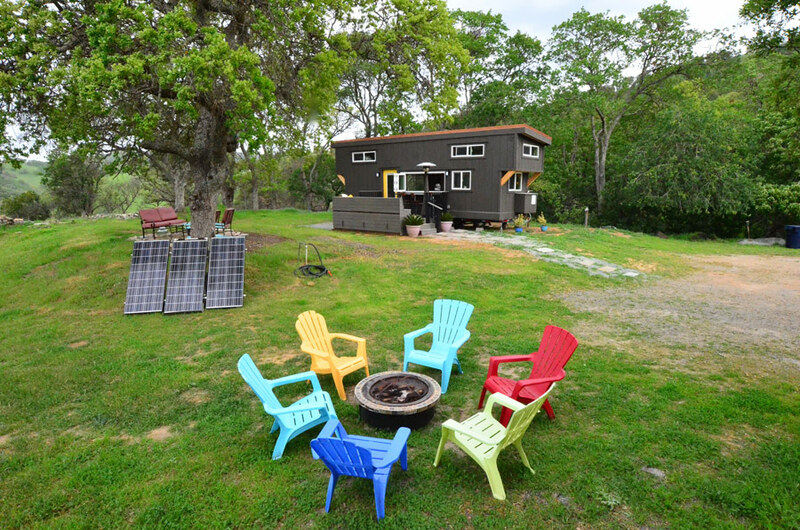 A 224 square feet tiny house on wheels in Northern California. Owned and shared by Shelley and Joshua. More info. here, here and here. Nicely done. So many things to like about this TH. If possible, could you reply with the shower model and source? I saw almost that same shower enclosure at Home Depot, I was surprised that I was much less expensive than I thought it would be, less than $1k. A google search for ’round shower enclosures’ brings up many links – some as low as $600. I agree, this is wonderfully done. Northern California is turning into my favorite location to try something like this. The ‘Sweetwater Bungalows’ web site and video has me wondering how easy it might be to get around or comply with codes in this area, and also of course the weather is very moderate. Nice combination of composting toilet but running water from the look of it here. But not the dimensions of this specific unit, unfortunately. Thank you! The climate we are in is very great for tiny house living, now we are up on a ridge and it can be windy but this little house is quite secure. Beautiful design–so imaginative. And everything you need. Roomy and airy. Thank you so very much! Airy it sure is! 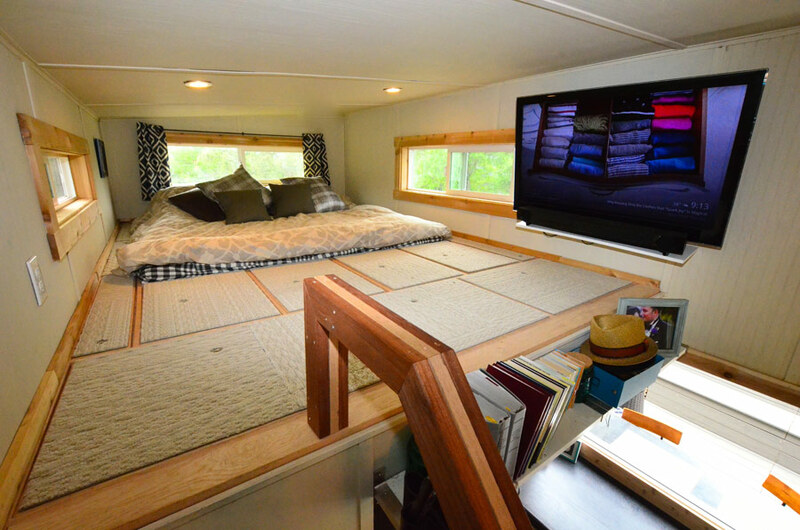 Is the deck a structure you can take with you if you move your tiny house to another location? If so, how is that done? Yes, i designed the deck to be portable and it has been moved to its new location since these photos have been taken, the main deck is 3 big pieces and the back bench is 3 pieces plus the railings, i moved it in my 18ft utilty trailer i use for work. Those stairs! Love it! And the “ladder” on the sliding door is awesome as well. 2 lofts, solar panels AND a fire pit!?! This place has it going on… Well done! Thanks for sharing! My thoughts exactly!! I just love everything about this house! This might be the nicest, most well put together home I’ve seen on this here website. Very well done. I am quite impressed. Love how stylish this TH is! A couple of questions, if you don’t mind. I live in No Cal as well. How did you find land to park on? That’s my biggest obstacle! Love Love Love your home. Its the best tiny house Ive seen yet. Amazing!!! Thank you so much! with all the stiff competition out there that means alot! 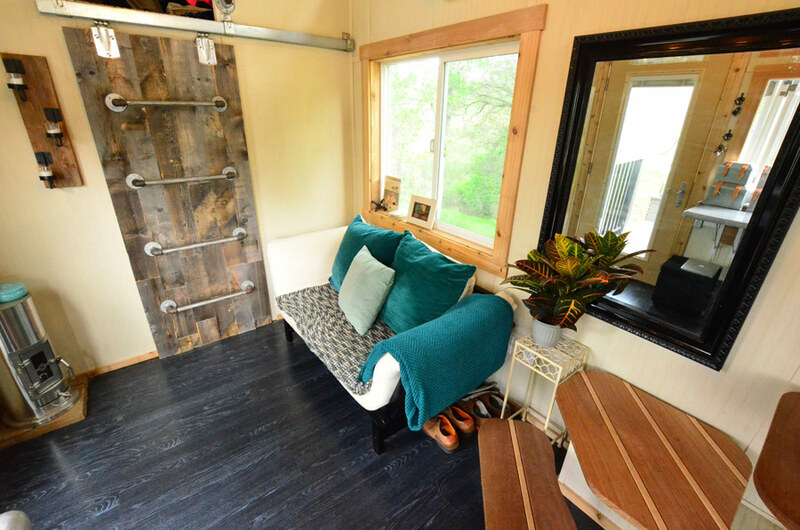 I saw this on Tiny House Nation! Adorable couple with an adorable home! Excellent design and execution! I could definitely see this being a very popular floor plan. Congratulations! Your home is incredible, and the outside eating bar is genius. I want to make a carbon copy of this house! Either that, or I might rent a closet and just live in there lol….I love every aspect of your home, congratulations on creating your dream house, its an inspiration. Thank you laura, the outside bar was one of the main design aspect we had to have and it was a opened up the space in a huge way, it makes the house very interactive. we are glad to be a inspiration to others! A tiny house that you can entertain in! (Or if not “in,” then at least, “next to”!) That outdoor seating area with a talk-through window to the kitchen is a fantastic touch. Gorgeously done. Saw this on Tiny House Nation, they did a great job building this house with all the owner’s desires. This is the first tiny house I have seen with the accordion window idea-brilliant! I think the stairs are great but I like them to be solid and contain cupboards and drawers for extra storage. Sliding doors a must! and with a ladder too! yes! Wow! This is absolutely one of the BEST TH designs I have come across in a very long time; the others I’ve seen coming into my inbox have regressed to looking all the same and lacking in imagination and innovation. This is a breath of fresh air to be sure, and I would LOVE to have the floor plan for building one of these! Who’s the builder, by the way? Where can you buy the plans? I believe this is a modified version of hOMe? Holy Mackerel I’m impressed! – are those tatami I see in the sleeping area? What a novel/excellent idea…especially with the Tao of the house…Japanese are exceptionally adroit at making things small…so when I saw the tatami…and remembered 15+ years of that wonderful smell…living in Japan…it’s like I was home again. The house is almost Zen-like…proper proportions…if someone was walking through in the dark…it wouldn’t be intimidating. Thank you for inspiring forward my ideals…you have actualized a wonderful place…To Be. I just wanted to say I absolutely love your home. I have MS and I know that I will not be able to live (on my own) away from my son, but this gives me hope. I could live in something like this on his property (when he grows up & has a family of his own). So he could live his life; while he’s still close in case something happens to me. Appreciate the views. This is hands-down THE BEST LOOKING tiny house EVER! 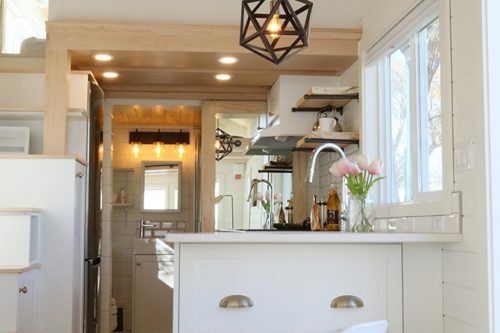 So many people seem to find comfort in continuing to replicate the same old floor plan and built-ins over and over again, to the point where most tiny houses start to blur together and look like they’re part of a suburban master planned community. I remember thinking that as soon as these two were introduced on the show I just knew their house would rock…there’s no way people with such unique personal styles would settle for a generic tiny house. I had my builder create a sliding barn door for the bathroom in my backyard tiny guest house before ever seeing one before, and now it seems like they’re popping up everywhere in THs – brilliant! 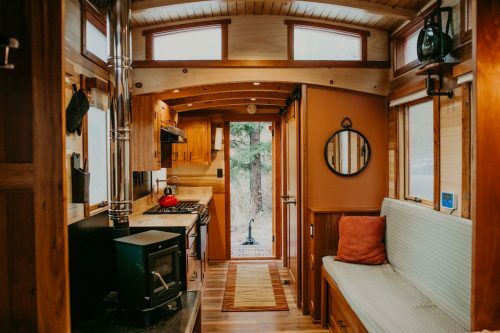 I really love this tiny home, but I’m not too sure it would be warm enough for Nebraska winters, they can be pretty brutal at times! think I could handle living in a tiny house just like this one! Can you purchase a home like this already built? Love the layout. What would happen if you could double the width? 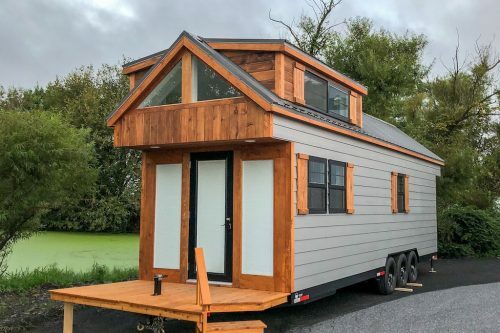 I have never heard of people disappointed in the long run to the tiny home concept. 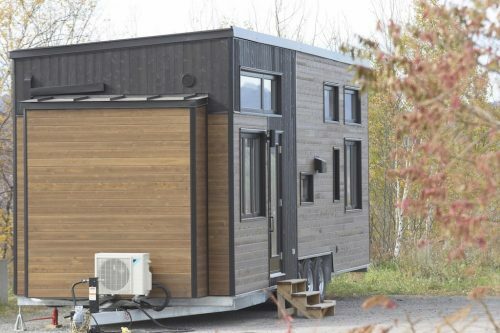 Where in the country is the tiny home concept wether mobile or permanent embraced? I would like to invite you to exhibit at our fair and join in on the excitement of a fun filled weekend. Mother Earth News magazine has been helping people live self-reliant, sustainable, meaningful lives for over 40 years. With an audience of over 3 million readers worldwide, it is the largest and longest running environmental lifestyle magazine on the planet. Mother Earth News Fair is a fun-filled family oriented sustainable lifestyle event featuring dozens of practical, hands on demonstrations and workshops from leading authorities on: Renewable Energy, Small Scale Agriculture, Gardening, Green Building, Green Transportation and Natural Health and Wellness. We will be adding one fair at the Bell County Expo on Belton, Texas (which is between Waco and Austin) February 20 & 21, 2016. Get face to face with some of America’s most dedicated sustainable lifestyle enthusiasts. Each year we bring thousands of passionate people to our vast eco-friendly marketplace for family-friendly fun and learning. They’re looking for sustainable household and cleaning products, renewable energy systems, gardening supplies, organic food, quality farm equipment, property improvement materials and much more. You may review information about our fairs at our site listed below, I would be happy to assist you in selecting an open booth space or answer any questions you may have. On Behalf of the Mother Earth News team, we hope to see you participate in another great experience at the Mother Earth News Fair! Please contact me if you have any further questions or would like any further information about our fair event. Sure! pay for our travel expenses and we shall come! I’ve looked at many tiny homes in preparation for retirement and this plan is the best! Love it! Great job! Looking forward to using some of your ideas in my own home when the time comes. I love the bar area. Can you please tell me who the accordion window manufacturer is? Just love this home. 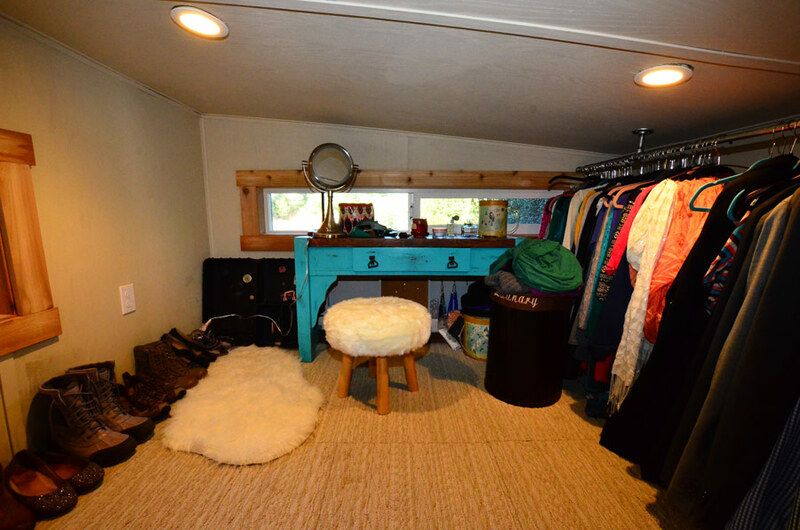 Makes me want to take the plunge to Tiny House living NOW! Would you tell me about the bifold Windows; where you found them; size; cost?